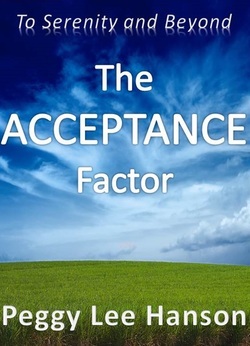 The eBook that explains it all: being accepted, accepting situations not in your control, but more importantly, how to accept yourself! I searched high and low for the answers to my questions. I asked the best authority on each subject. I talked with friends and family for their insight. I spoke with teachers, doctors, and clergy. I met with community leaders and those of the world transformation leadership council. The answers to my questions were elusive. I read books written by even more authorities, journaling about what was read. The answers still were not forthcoming. Oh, the lions, tangled webs, and fears we have in life. This book makes sense of the loss of what once was and had been, dealing with the effects of the loss of the person, or situation and circumstance. Being negative doesn't help you at all, even if it "hurts so good." Neither does working overtime to make another person happy and content. The healing happens when you are able to accept yourself, say goodbye to what's no longer true, and allow peace and harmony to enter your life again. Inside you will find tips, tools, and exercises to reach your acceptance factor by gaining belief in yourself multiplied with compassion. Who else can I ask? I've talked, written, read, and spoken with everyone I could think of. Finally, the answer came; the light bulb clicked on. I connected to that person and got each answer to every question I had asked. I found the one true authority that had all the answers to my questions. I just had to keep looking deeper to find her. Know who it is? Can you guess?